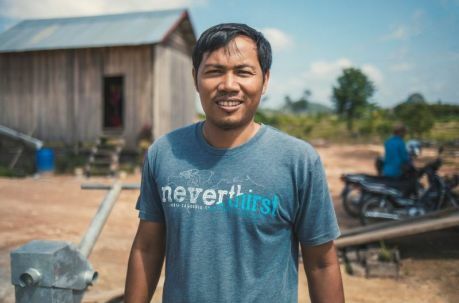 In 2012 we began doing water filtration,latrines and wells in Stung Treng Province. Since then we have provided thousands of families with water filters, latrines and water access. 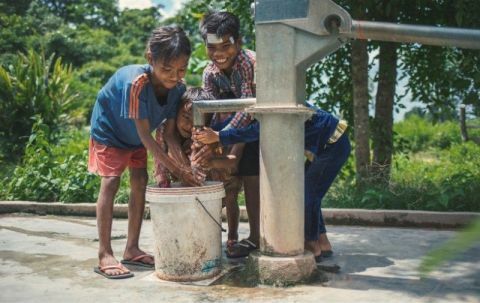 We believe it is important to provide both the source of water and treatment solutions. So in conjunction with filters we do deep affridev hand pump wells in our target communities. 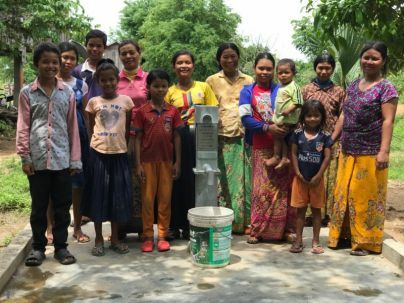 In 2018 we began to extend our reach into the neighbouring Preah Vihear province, providing water access to 150 families through 10 wells. 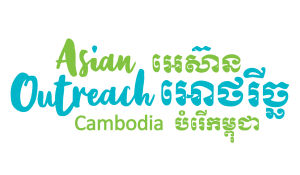 In 2019 we are focusing more on Preah Vihear while still working in Stung Treng. We will be completing a total of 400 bio sand filters and latrines and an additional 40 wells in total this year. Water brings life and hope. 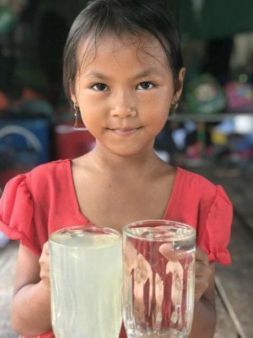 Preventable disease through unclean water and inadequate sanitation practices remains a major problem in Cambodia and is the main cause of mortality. This is something we feel strongly about and have prioritised providing needy communities in all three project areas with BioSand, household latrines and community wells. Health and hygiene training are key components to the success of this project, as well as high levels of community involvement, particularly in the building and monitoring components. Beneficiaries also are required to pay a small sum towards the total costs or towards a repair fund for community wells. 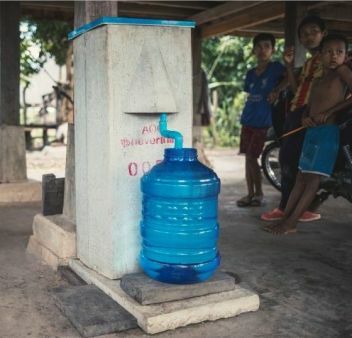 The recipients of the water filters and latrines are chosen by the existing Village Development Committee, or by community project leaders who support the project. Beneficiaries are chosen from the most vulnerable, often those with small children and who live below the poverty line. ”My name is Chan Sokhun and I am 37 years old. My husband’s name is Meas Both, he’s 40 years old. Together we have five children, three sons and two daughters. Every morning I used to get up before the sun and three times a day I would have to walk for two kilometers to fetch water for my family to use for cooking, cleaning and drinking. I used to fetch unclean water which would cause diarrhea and skin infection because it was unsafe drinking water. I would walk up to an hour and often dig a hole beside the stream to find water. Then I would carry three containers of water back home. We were struggling, especially in the dry season as our stream would become dry and we would then need to walk further to find water, sometimes up to an hour and half. It would take a long time to collect as we would have to wait while the water was poured into each of our containers before starting the long walk back to our home. We wouldn’t have time to go to work on the farm, most of the daytime was spent going and fetching water. We didn’t have any hope that the water, was going to be found. I prayed so hard that He may keep us safe and have enough water for our family. After all our prayers we were very, very grateful with the new well. It is close to my household and now my children can draw water at any time and they don’t get tired. Before we would spend a lot of time going to draw water but now we spend that time in the field working because of the new well.